In 2014, when Reno resident Michelle Faurot decided to form an all-woman cycling team to compete in the storied Race Across America (RAAM), she knew she had her work cut out for her. It wasn’t just the eight months of intensive training or the extensive logistics required to get eight cyclists 3,004 miles across the country that challenged her. The team needed a cause they could believe in – beyond chasing a new women’s team record (which, by the way, they earned). 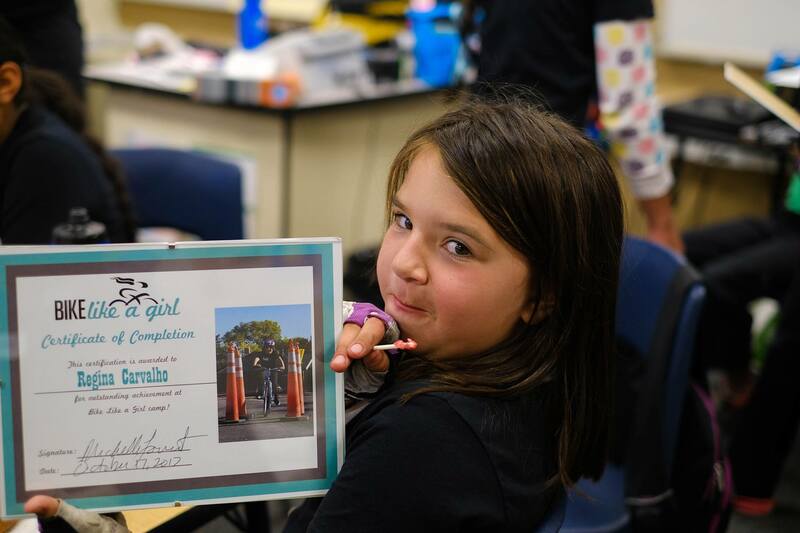 They found their cause and their inspiration in Bike Like a Girl (BLAG). The 501(c)(3) was founded by Faurot — a certified USA Triathlon Coach — as well as Xterra athlete Sian Turner and former World Tour Pro Cyclist Julie Young. They now have a board that helps fundraise and guide the group in achieving its mission: to empower girls and women through cycling, providing them with the skills and self-confidence to succeed in life. At the core of fulfilling this mission are Bike Like a Girl cycling camps. Designed to be fun as well as educational, the camps teach bike skills, life skills, share the joy and freedom of riding a bike, and integrate STEM (Science, Technology, Engineering, Math) into camp curriculum. 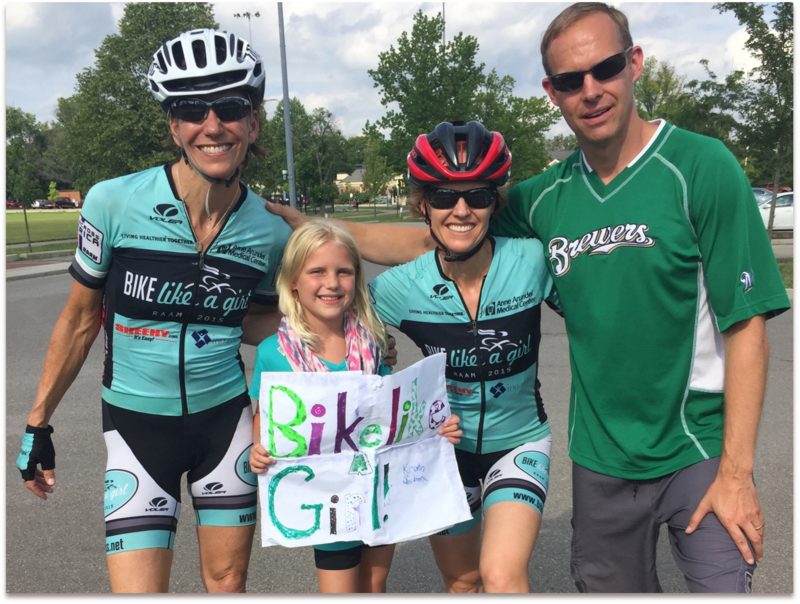 The first camp of 10 girls was held in the fall of 2015 in the parking lot of Roy Gomm Elementary School and was paid for by the Bike Like a Girl race team’s fundraising. They have held camps every year since, hosting over 50 girls who meet once a week for four to five weeks. 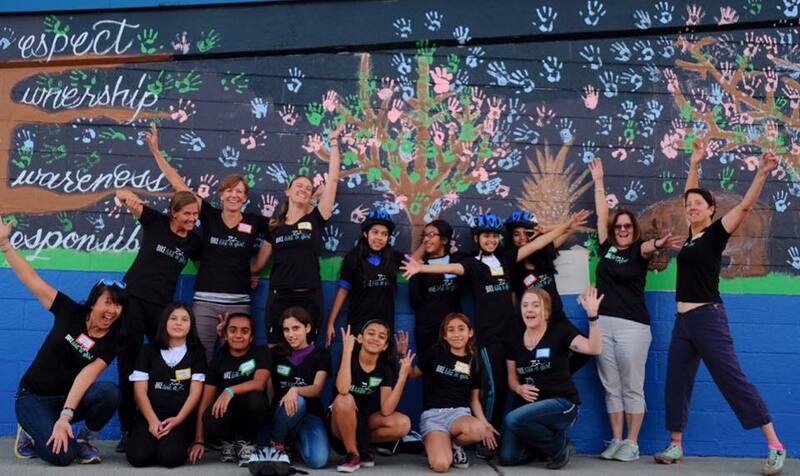 Bike Like a Girl now focuses on hosting their camps at low-income, underserved schools. They bring the bikes (used and refurbished, thanks to a partnership with Kiwanis), helmets (thanks to donations), STEM lessons (from volunteer teachers) and even jerseys for the graduates. And nobody pays to attend. BLAG has been operating on a shoestring, using donated equipment and volunteer help. Each camp requires a willing partner in the school – a teacher and principal passionate about the program and willing to work out the logistics. This year, out of necessity, BLAG is focusing on fundraising efforts and solidifying partnerships. They are working with the GIANT Reno-Sparks bike shop and Giant-Liv corporate.to secure discounts on a fleet of new GIANT bikes to use in the camps. Faurot and her team also continue to fine tune the Bike Like a Girl cycling camps. They’re adjusting curriculum and working on ways to bridge their camps with other cycling resources to keep the girls riding. This means connecting participants with their own bikes and equipment, developing clubs in their schools and eventually introducing them to area leagues where they can continue to ride as middle and high school student in the recently formed National Interscholastic Cycling Association Nevada league. BLAG also hosts women’s bike rides and social events, offering both those new to cycling and seasoned riders a supportive environment where they can train, grow and build self-confidence. In fact, it is from this group they have found many of their passionate volunteers. 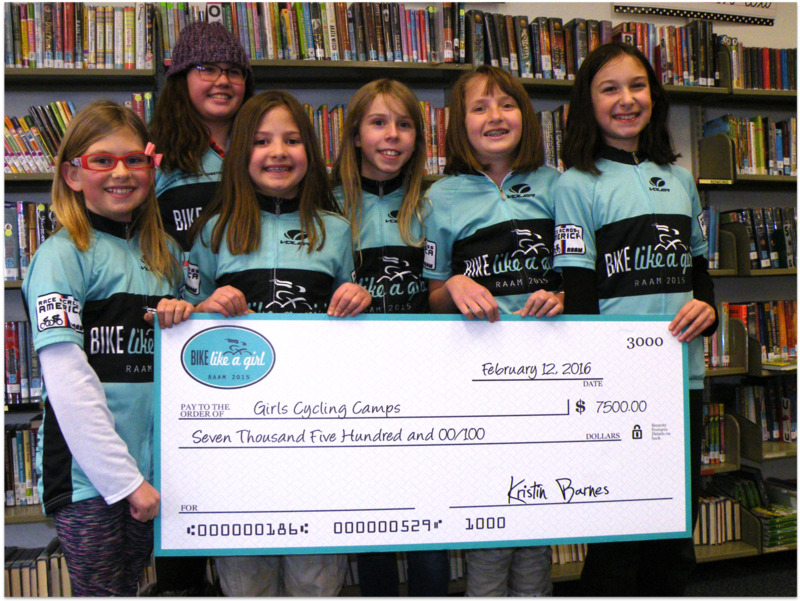 There are several ways for you to support the work of Bike Like a Girl. 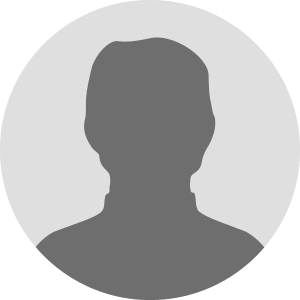 To connect with BLAG, use their website form. and her team also continue to fine tune the Bike Like a Girl cycling camps. They’re adjusting curriculum and working on ways to bridge their camps with other cycling resources to keep the girls riding. This means connecting participants with their own bikes and equipment, developing clubs in their schools and eventually introducing them to area leagues where they can continue to ride as middle and high school student in the recently formed National Interscholastic Cycling Association Nevada league. 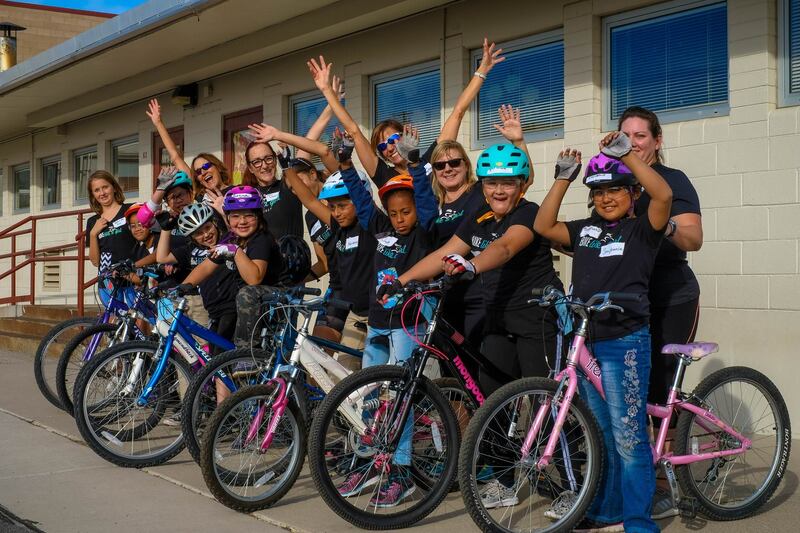 Watch this video of a recent girls cycling camp held at Agnes Risley Elementary School.